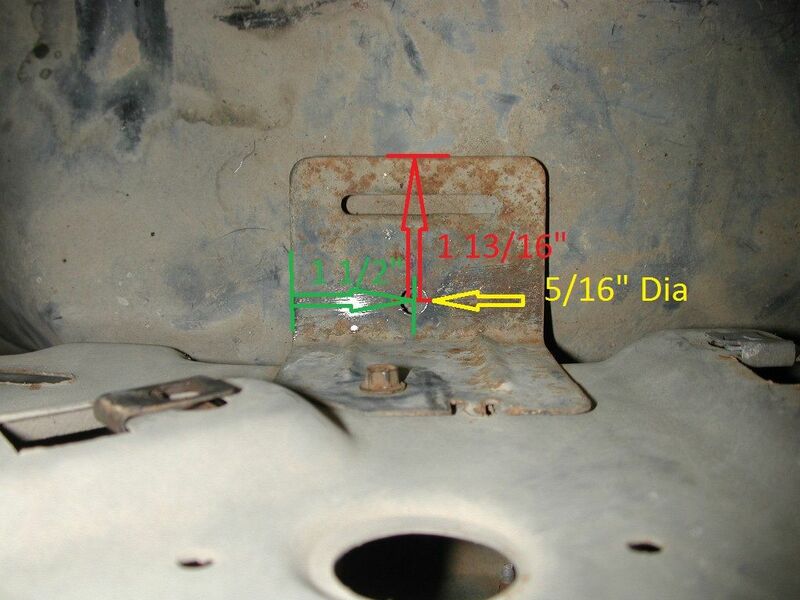 Part #'s for the coolant recovery/windshield washer reservoirs for the 1980 - 86 Ford trucks. 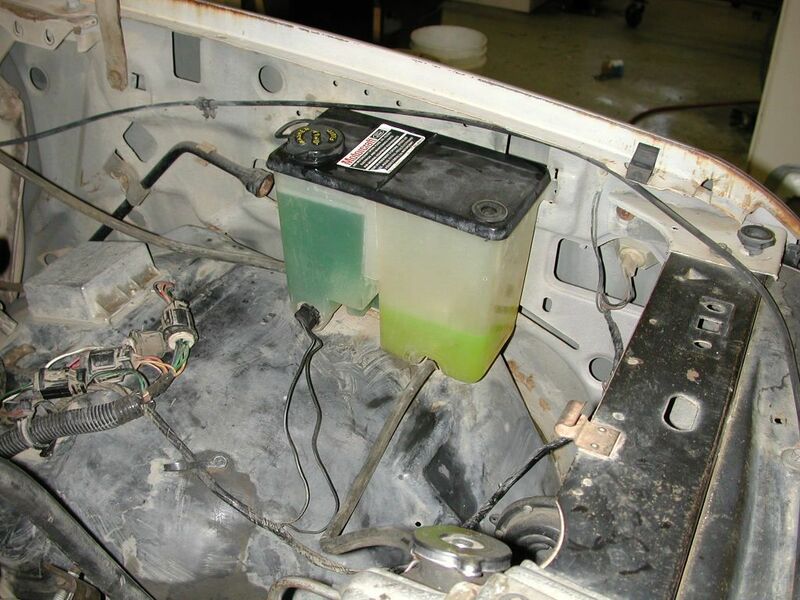 And, how to add an 1985 - 86 reservoir to a 1980 - 84 truck. Note that there are two sets of #'s - one for the gas-powered trucks and one for the diesel-powered trucks. 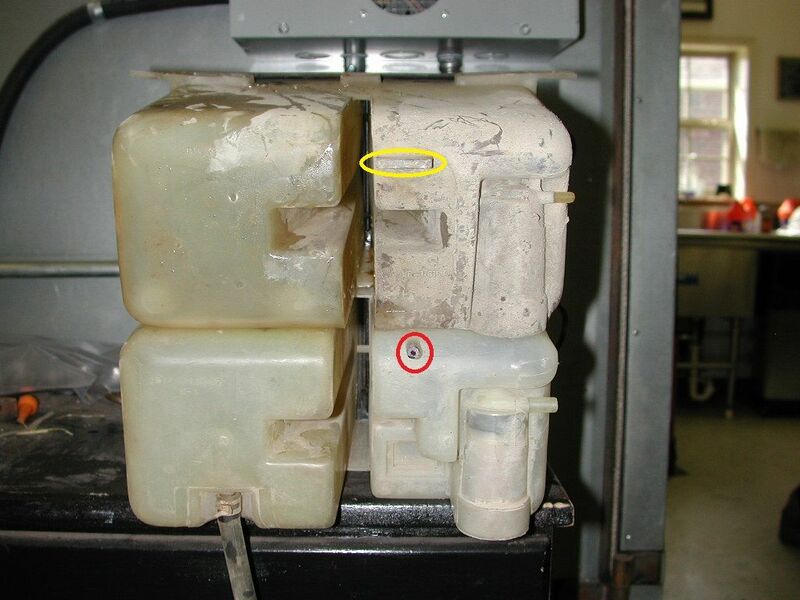 But, the part for the gas trucks is both a coolant recovery bottle and a windshield washer reservoir, while the diesel trucks have separate coolant recovery and windshield washer reservoirs. And, with all four of those things it is a bolt-in. But, what if you are like me and don't get all the pieces? 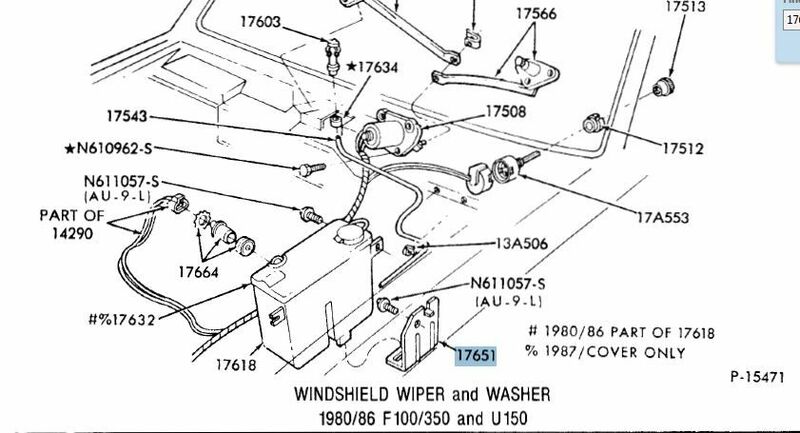 The hose from the radiator is easy as the existing hose will work, although it looks a bit odd with the angle piece in it. And on my truck the hose from the reservoir to the jets was actually the right size but had a reducer in it and then 3" of smaller hose to go to the reservoir. So I took the reducer out and the larger hose fit right on.